Okay, Bailey and Chris very quickly became two of our favorite people. They are hilarious and so down to earth. Their chemistry is absolutely unreal, and they're the kind of people who just straight up enjoy a good time. 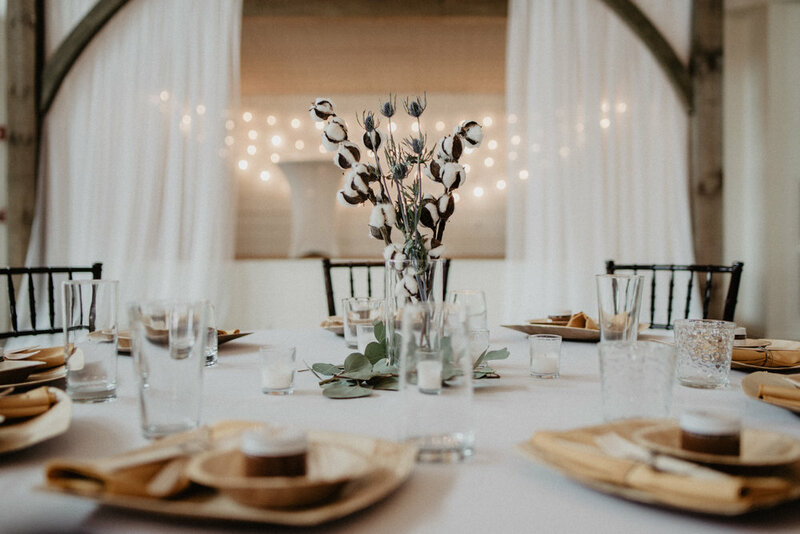 Their wedding was at The Venue Chattanooga, and it was basically all DIY (but you'd have no idea from just looking at the pictures because it was all FLAWLESS). My two favorite things that they prepared themselves were the bouquet and the cakes. Seriously. Scroll down real quick and look at her bouquet. SO BEAUTIFUL. And now scroll down and check out those cakes. Bailey made each one from scratch and decorated the whole table with flowers she didn't use in her bouquet. Not only were they gorgeous, but they were the best wedding cakes I have ever tasted (yes, we tried more than one flavor). And, okay, this wasn't DIY, but guys. Her dress!! The tulle. The sleeves. The color. I could have photographed it all day long. White Lace and Promises really came through. I hope you guys enjoy looking through these as much as we enjoyed taking them! It was the hugest honor to be a part of their day, and we could not be more thankful for these new friendships!